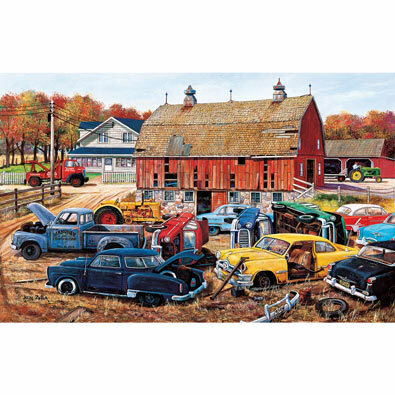 This 550 piece jigsaw puzzle is designed by Ken Zylla and measures 15" x 24". Available in two-piece count. It is easy to appreciate the story-telling ability of this American artist. His blending of the elements such as weather, sunlight, the seasons, along with his choice of subjects, brings each painting to a precise place in time. Each 550 piece jigsaw is designed by Ken Zylla and measures 15" x 24". Available in two piece count. This 550 piece jigsaw puzzle is designed by Ken Zylla and measures 15" x 24".Available in two-piece count.